The first few months of this year have been a huge blessing to many families in Haiti. 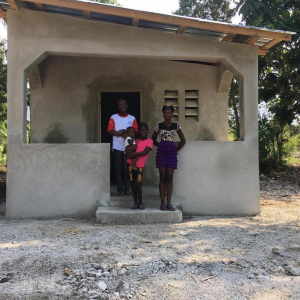 Already, we have built 8 houses this year – 4 in Galette Chambon and 4 in Thoman! These 8 houses represent 8 families – moms, dads, children, grandchildren – who will no longer be living in mud huts or in super crowded conditions with other families. They will have a safe place, a dry place, a place to call home. Pastor Mathurin shared with me that we have now built 73 houses in Thoman, 2 in Mathias, and 2 in Bwa Polite, for a total of 77. That doesn’t count the original 44 houses we built on the hill in Galette Chambon and another 30 or 40 in the villages of Galette Chambon. So many American Christians have given so much to build these 150 houses. 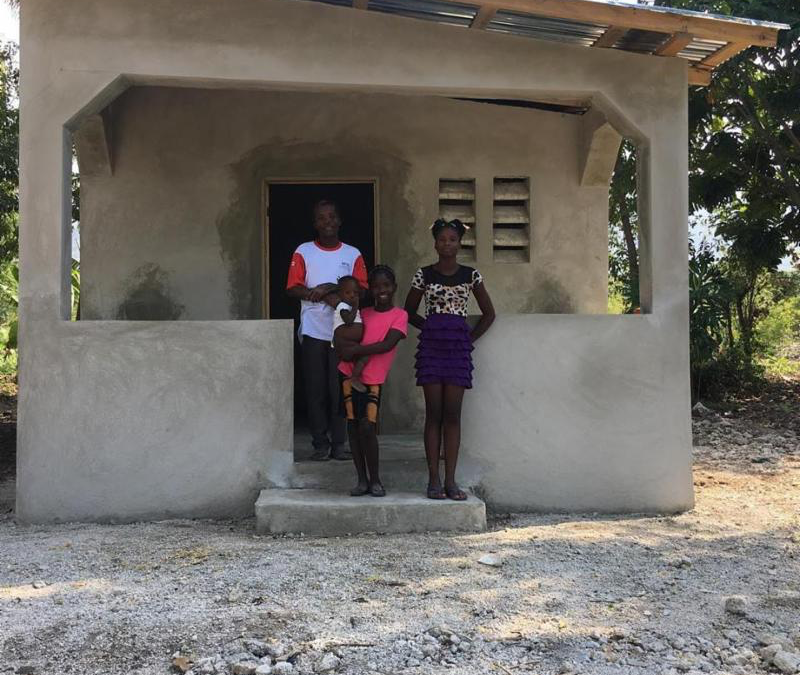 In fact, at $5,885 per house, that’s a total of $882,750 in housing that has been built since we started in Haiti. Praise God! What a tremendous blessing these houses have been for people who were living in tent cities or mud huts. Thank you so much! Also, those 150 houses represent lots of jobs for Haitians working on the houses. And, those houses represent hundreds and hundreds of people who no longer live in squalor but instead have a safe and dry place in which to live. Thanks to all who have given! Praise God for His faithfulness! This photo is from 5 years ago. 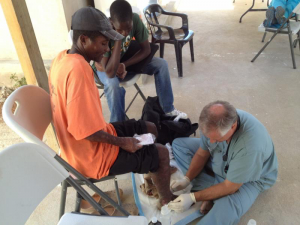 Tony West, our Nurse Practitioner missionary in Galette Chambon, Haiti, was washing the diseased feet of a Haitian man named Kamil. Due to the terrible situation with his feet, Kamil could not work, and his wife left him and his children. Tony washed and put ointment on Kamil’s feet for months until they finally got better. Then Kamil could work, but he had a horrible housing situation. Tony prayed for years that Kamil could get a new house. This is the house where Kamil lived with his children. The doors were falling off the hinges and the boards on the inside that were holding up the roof were rotting and about to fall apart. Two weeks ago, a dear family from Pensacola, Florida provided the funds for Kamil and his children to have a new house. We are so excited for this sweet man and his family! Soon the house will be painted, and we pray that a team will want to build a bed and some tables and benches. 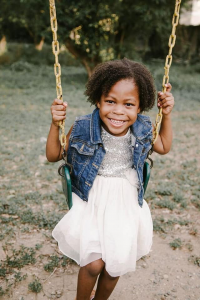 Our work with malnourished children in Haiti started six years ago with a little girl name Betsy. When she came to us, Betsy was six months old and weighed only six pounds. At that time, we weren’t sure what to do, so we found a Malnutrition Center six hours away and took Betsy there. Slowly, Betsy began to gain weight and become healthy. Then, more families brought their malnourished children to us and we started an outpatient malnutrition program. Eventually, this led to our current Inpatient Malnutrition Center that is like a mini-hospital where malnourished children stay 7-8 weeks and receive round-the-clock care from our nurses, nannies, and other providers. This was Betsy six years ago. 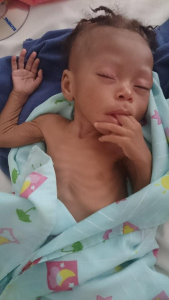 There are many more “Betsys” in Haiti who are dying from malnutrition. We have already treated over 80 little children at our Inpatient Malnutrition Center. Unfortunately, these precious children who are starving and living in mud huts do not bring any money with them to pay for their treatment. Therefore, we must fund the entire Center along with our 15 Haitian employees there. Click HERE to purchase your tickets. You will be asked to create an account so you will be all set for the auction and added to our attendee list. You can even save your credit card if you prefer for ease of bidding later. Or, you can come by our office at 404 Fontaine Place, Suite 104, in Ridgeland, MS and buy your tickets. If you are unable to come to the event on May 2 but you would like to give directly to support the Malnutrition Center, just click HERE. You can also mail a check to: But God Ministries, 404 Fontaine Place, Suite 104, Ridgeland, MS 39157. Write “Malnutrition Center” in the memo line. We’ve had lots of teams and lots of ministry taking place in the Mississippi Delta during the first three months of this year. God has allowed us to share His love in multiple ways. 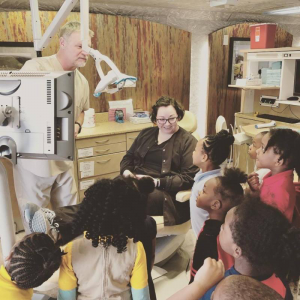 A mission team from Silverdale Baptist Church in Chattanooga, TN recently shared with local children about dental hygiene and what it’s like to go to the dentist at our Dental Clinic in Jonestown. 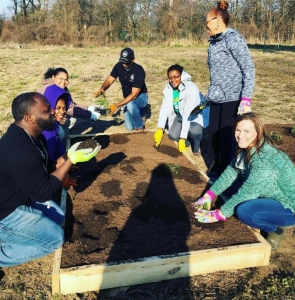 Members of the Word of Life mission team from Flowood, MS helped to plant multiple garden plots in Jonestown a few weeks ago. 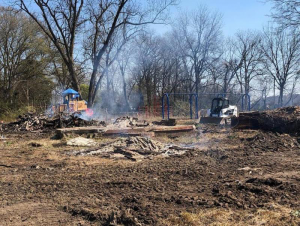 A team from Fellowship of the Rockies Church in Pueblo, Colorado cleared a huge lot where a daycare had burned a few years ago. It has made a huge difference having that eyesore removed from the community. 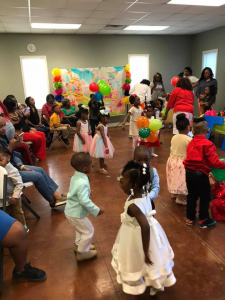 Spring Fling 2019 through our Jonestown Family Center was a great success as children from all over Jonestown enjoyed this festive occasion. 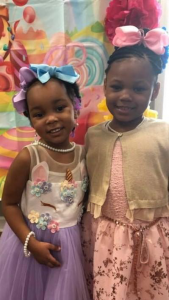 These precious little girls had a big time at the Spring Fling! As you can see, God is using But God Ministries in marvelous ways. Also, as you are aware, it takes a great deal of resources to do what God has called us to do. Would you please consider financially supporting BGM and our work in Haiti and the Miss. Delta? Your gift will go a long way in helping us share the love of Christ in very tangible ways in these challenging places. You can give a general gift online HERE or send a check to: But God Ministries, 404 Fontaine Place, Suite 104, Ridgeland, MS, 39157. 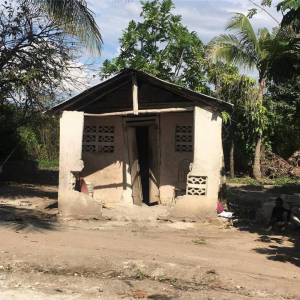 In addition, I ask for your prayers for wisdom and energy for our Haitian staff, our Delta staff, our American staff in Haiti and the U.S., and our Board of Directors.